Movie Stars – Find Your Power Places! Astro-Locality assists each of us in finding love, in all the right places. 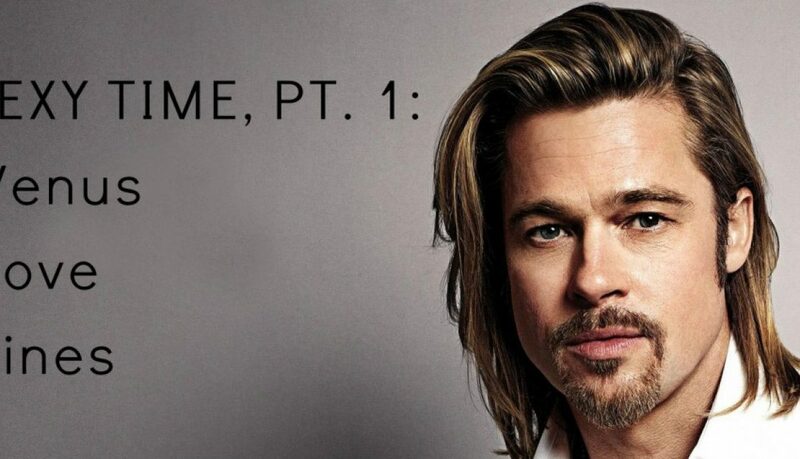 A famous “love-lines” example is Brad Pitt. 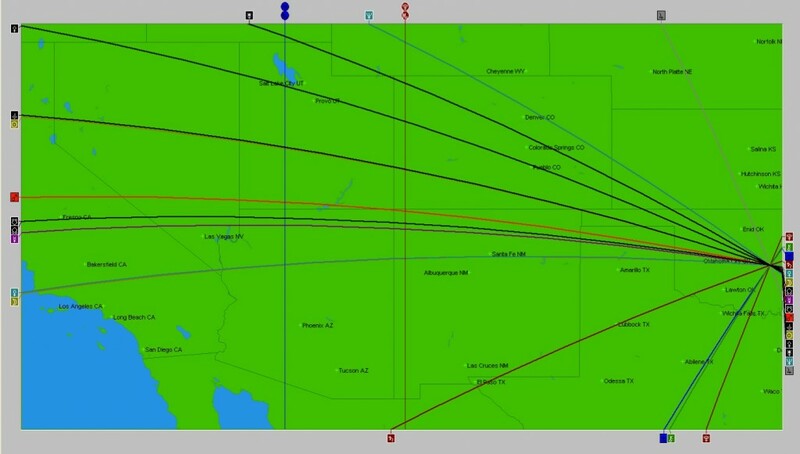 Brad was born in Oklahoma and his Moon and Venus Local Space lines arc out through Southern California, extremely close to Hollywood. All of Venus’s representations have been actualized by Brad in this location. First, his wife Angelina and his former partner Jennifer Aniston, were both born in Los Angeles. Typically, Venus lines will show us where very significant relationships can existe for us. Secondly, Venus represents our creativity and aesthetics. Brad performs his art of acting in Hollywood. He also earns millions of dollars for his roles, and Venus rules money, in addition to love and creativity. His Venus is in the sign of Capricorn and Brad has achieved his Capricornian ambitions of being a successful, well-respected, and hard-working actor. Brad’s AstroLocality Map – Click to Enlarge; Back Arrow to return. Also, a man with a Venus in Capricorn is attracted to a female partner who is also devoted to her long term success. Typically, this male will also want to be in committed and enduring partnerships with successful people. Brad was with hugely famous actress Jennifer Aniston for 7 years and his relationship with Angelina Jolie ended after 11 years together and the creation of a large family together. Check out this Video for an in-depth analysis of how to Find Your Love Lines with Venus – we discuss Brad’s chart, a client’s Venus line, and yours truly hanging with Venus in Spain and Portugal!